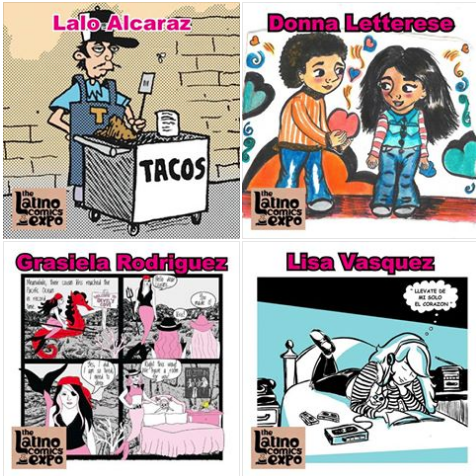 It seems with every new appearance at the Latino Comics Expo Lalo Alcaraz has added even more titles to his name. The acclaimed (some would say controversial) political cartoonist is also the radio host of the Pocho Hour on 90.7 FM in Southern California, editor of Pocho.com, a consultant on Pixar's upcoming COCO, and one of the writers of the prematurely cancelled 'Bordertown' animated Fox series. And somehow still finds time to battle trolls on the internet. He'll be at Latino comics Expo this August along with other newly announced guests Grasiela Rodriguez, Donna Letterese and Lisa Vasquez. The line-up keeps growing with and eclectic collection of top Latino talent. Make sure to get your tickets so you don't miss this unique event. 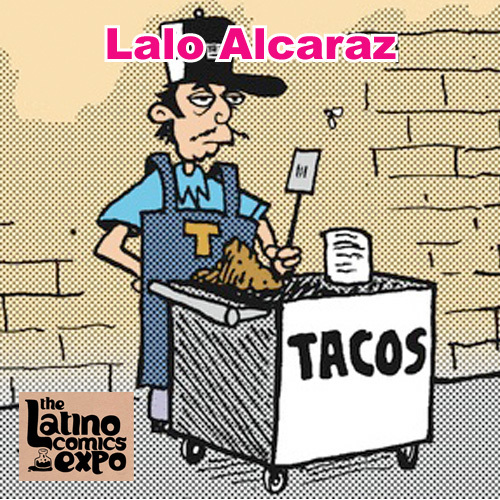 Lalo Alcaraz is the award-winning cartoonist behind LA CUCARACHA, the nationally syndicated Chicano comic strip. He's also a writer forBORDERTOWN and consultant on Pixar's upcoming Dia de Los Muertos filmCOCO. He also hosts the long-running POCHO HOUR OF POWER on 90.7 FM, KPFK. Grasiela Rodriguez works in a variety of mediums, including painting, chalk art, animation and comic books. Among here titles are SPADRA andLUNATIC FRINGE. She recently published a new zine called THE DIARY OF THE TWO SIREN SISTERS. 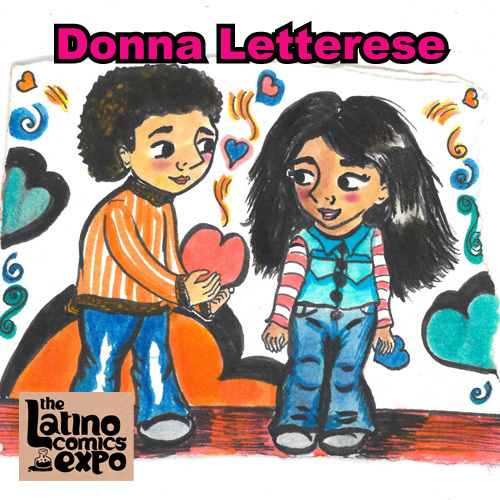 Donna Letterese is an educator and artist. She teaches comics and cartooning classes throughout Los Angeles, and as an artist he work appearsin art exhibits and various festivals and conventions. Among her popular works are hand-crafted Spanish and bi-lingual greeting cards. Vasquez makes zine and mini-comics which she sells at various shopsand events throughout Los Angeles. This is her first appearance at the Latino Comics Expo. 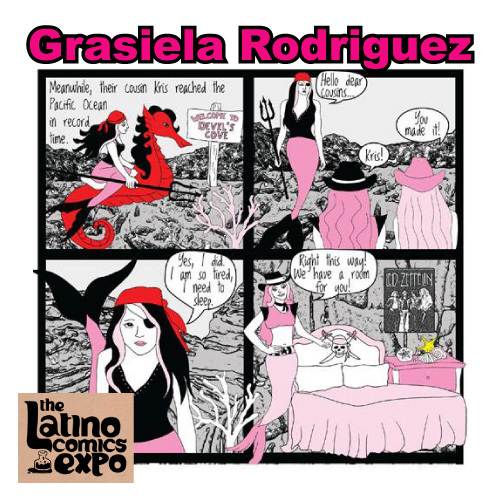 The Latino Comics Expo Los Angeles will be held the weekend of August 6& 7 at the Museum of Latin American Art. The event runs from 11am-5pm, both days. MOLAA is located at 628 Alamitos Avenue, Long Beach, CA 90802. Admission to the Museum grants you entry to the Expo, panels & workshops.